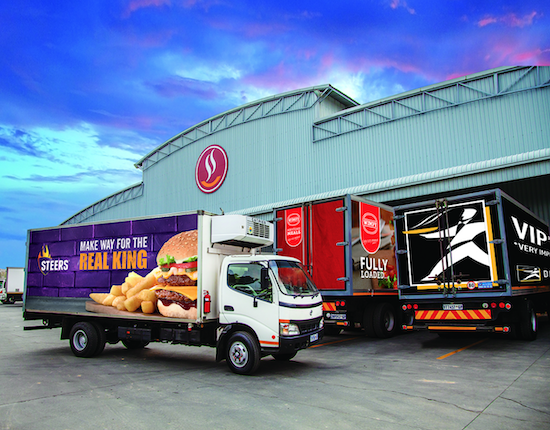 Food Services business, Famous Brands, came out with their highly anticipated interim results. The company reported an interim loss of R544 million due to a pretax R874 million write-down of its U.K. chain, Gourmet Burger Kitchen (GBK). Coega Concentrate also delivered a R17.8 million loss to make matters worse, that business is now up for sale. The group's overall revenues were up 5.4% to R3.6 billion. South Africa was the shining star with revenues growing 7.4% to R2.7 billion and operating profits up 10.4% to R434 million. The group now has a network of 2 874 outlets with a mix of 25 restaurant brands. GBK saw a 6.8% drop in revenues and a 2.6 million pound operating loss. Since the Brexit vote the British economy has been weak, consumer confidence at all time lows and some companies have resorted to moving their head offices to other jurisdictions. GBK filed for some variation of bankruptcy protection referred to as company voluntary administration (CVA as CEO Darren Hele likes to call it) to try to combat the cancer. CVA is basically a process that will enable GBK to continue to operate under these difficult conditions; keeping in mind the jobs affected and the sustainability of the company as a going concern. In this process GBK is going to try avoid insolvency by closing down unprofitable stores that have less foot traffic. Famous Brands CEO Darren Hele in an interview said the following, "essentially what will happen with the unprofitable stores, which are caused by onerous leases, will close. You have a lease that was rated at a certain value when the economy was booming and that property is potentially worth 40% less than it was at the time of negotiation. . ."
This doesn't mean that GBK automatically avoids the valkyries, but it gives them a fair chance to fight for their existence in a very competitive environment. Hele also said that rent is by far the single largest fixed cost for quick service restaurants businesses outside of labour. There was no mention of a sale at this moment in time. Hindsight is a perfect science and in the business space you're only as good as your last deal! Unfortunately it has not been smooth sailing for Famous Brands and by design its shareholders as well. We remain optimistic and we think management is taking the necessary steps to stop the cancer from spreading, hold the line.